The "Act" is a term used by "practitioners" (i.e., landlords, property managers, lawyers, etc.) 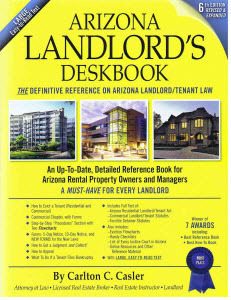 to refer to a collection of statutes (i.e., laws) called the Arizona Residential Landlord and Tenant Act, which are found in Arizona Revised Statutes, Sections 33-1301 to Section 33-1381. You can view those statutes online here. View statutes online. Or you can Download a .PDF file of the Act.